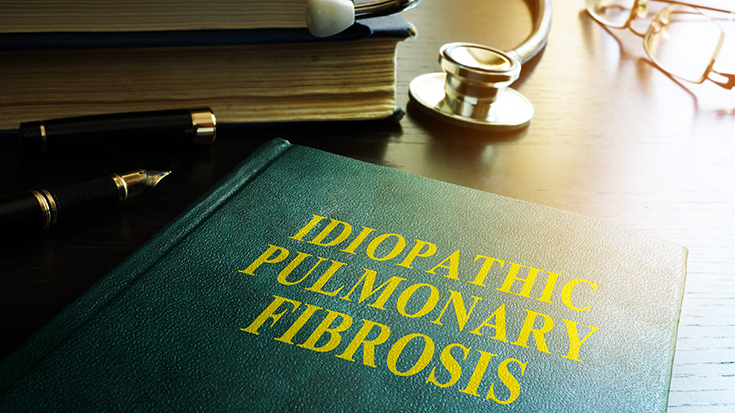 According to the National Institutes of Health, idiopathic pulmonary fibrosis (IPF) is a rare disease with a worldwide prevalence of 13-20 per 100,000 people. About 100,000 people in the U.S. suffer from the condition, and about 30,000-40,000 new cases are diagnosed each year. Given its low prevalence, many RTs may not be fully up to speed on the diagnosis, treatment, and care of people with IPF. AARC members with expertise in the condition offer some great tips on getting there. “IPF is a progressive interstitial lung disease with no known cause and is the most common and deadly of the idiopathic interstitial pneumonias,” said Karen Gregory, DNP, RRT, AE-C, FAARC, from the Oklahoma Allergy and Asthma Clinic in Oklahoma City, OK.
She goes on to note that, unlike emphysema, which causes reduced lung elastic recoil, increased lung compliance, and increased lung volumes with reduced maximal expiratory flow rates, IPF is characterized by an increased lung elastic recoil, decreased lung compliance, and reduced lung volumes, generally with increased maximal expiratory flow rates. Survival is generally three to five years following diagnosis; however, getting to that diagnosis can be a challenge. Trina Limberg, BS, RRT, FAARC, MAACVPR, director of pulmonary rehabilitation services at UC San Diego Health System in San Diego, CA, believes RTs need to take that into consideration when dealing with patients whose symptoms suggest the condition. “RTs should be aware that the journey to being accurately diagnosed is often long and sorted,” she says. Since persistent cough accompanied by dyspnea upon exertion is a chief symptom, many patients are initially misdiagnosed as having asthma, and it may take a year or longer for clinicians to arrive at a true diagnosis. Limberg says the disease can take a particularly large emotional toll on people who have never smoked because they never expected to develop a condition characterized by progressive dyspnea and disability. “The loss of personal freedom is unexpected and very frightening for most,” she said. What can RTs do to help people with IPF? Dr. Gregory stresses the need for ongoing monitoring and says it is imperative for therapists to identify accelerating deterioration. She also believes RTs have an essential role to play in educating people with IPF about the disease and how best to cope with it. That means making sure their co-morbid conditions — for example, up to 90 percent of people with IPF also have gastroesophageal reflux disease — are taken into account and ensuring patients understand the importance of getting their annual flu shot and pneumonia vaccinations. Assessing patients for behavioral health problems like depression, anxiety, or alcohol or substance abuse is vital too, as is encouraging participation in pulmonary rehabilitation. Dr. Gregory says pulmonary rehab can not only help patients learn self-management techniques and reduce symptoms, it can provide them with opportunities to socialize with others struggling with the same things they are struggling with and increase their quality of life. Limberg urges RTs to take the time to listen to their IPF patients and help them with the things they most feel they need help with. “RTs are valuable resources to patients, providing them with information about oxygen delivery systems and helping them to understand why shortness of breath occurs, even when oxygenation is measuring at adequate levels,” she says. AARC Associate Executive Director Shawna Strickland, PhD, RRT, RRT-NPS, FAARC, echoes those sentiments, noting RTs can and should help empower their IPF patients for effective self-management in areas such as medication regimens, avoiding situations that can negatively impact their health, smoking cessation, managing comorbidities, and keeping up with wellness initiatives. Dr. Strickland says the AARC has several resources that can help RTs become better prepared to assist patients with a chronic lung disease like IPF. IPF is a devastating disease with a poor prognosis for most people. Respiratory therapists are the perfect clinicians to take the lead in helping these patients cope with the condition as best they can and make the most out of the life they have left to live.